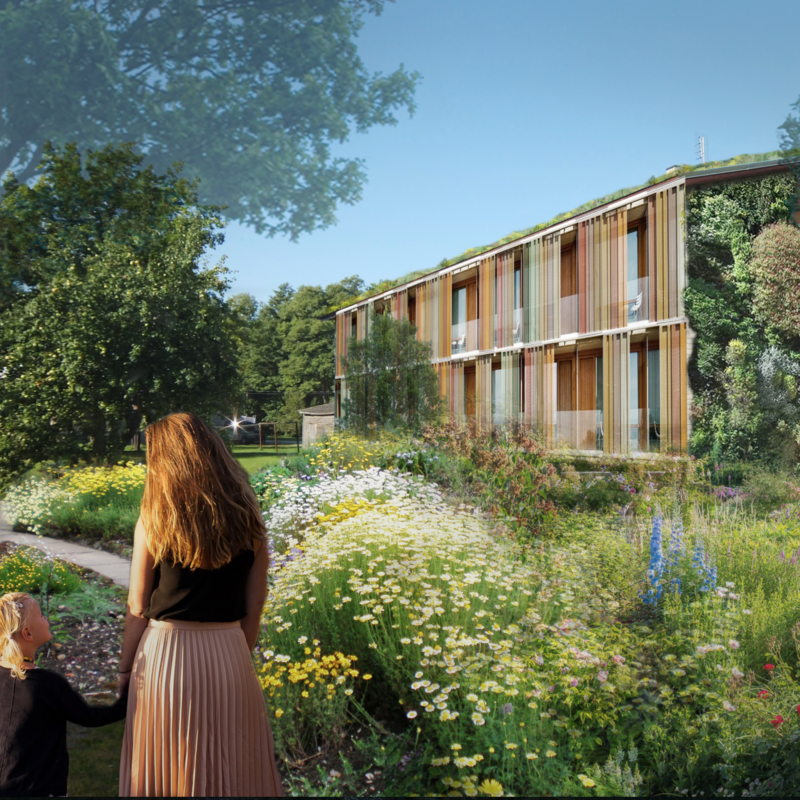 Polydome brings together polyculture, aquaponics and hydroponics under the same roof: a greenhouse, powered by renewable energy, watered by rain, maintained and upgraded by people. It is a place where the waste is reused to produce organic food with high yield per surface unit, offering a truly sustainable solution. It is adaptable to different environmental conditions, resilient to scarcity of soil, and reconnects local producers and consumers. The basic principle behind the success of a Polydome system is that it is largely self-supporting. Most elements provide a variety of beneficial functions in addition to just producing marketable products: pollination, CO2, shading, heat, and nutrient exchange, among others. The Polydome system can be installed in a tailored dome-shaped greenhouse or in conventional high-ceiling greenhouses. 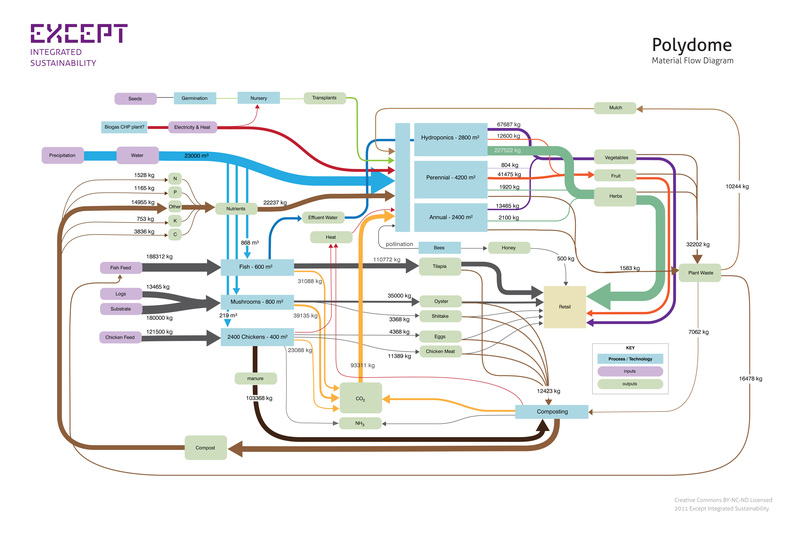 Polycultures are groups of interacting plants that use space and nutrients to maximum effect. 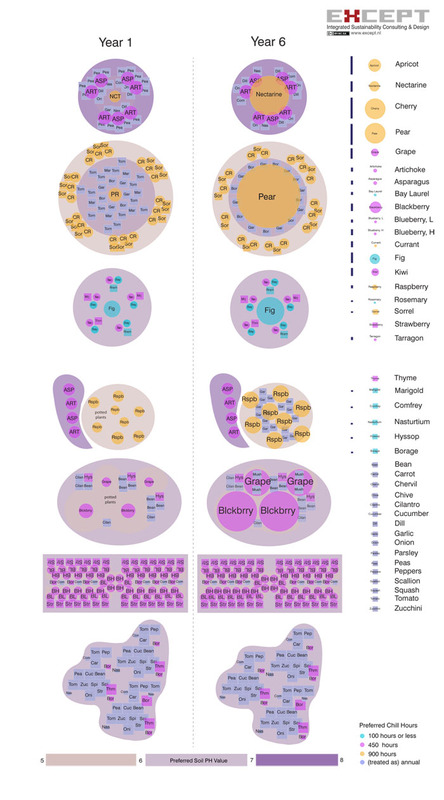 Polydome maximizes food production by relying on these symbiotic biological relationships. These have been found through intensive research and correlated in a database featuring over 500 species. Different species help each other by boosting growth and protection against pests. Integrated Pest Management (IPM) introduces beneficial insect that support a functional ecosystem. The result is a healthy and self-maintaining soil ecosystem. 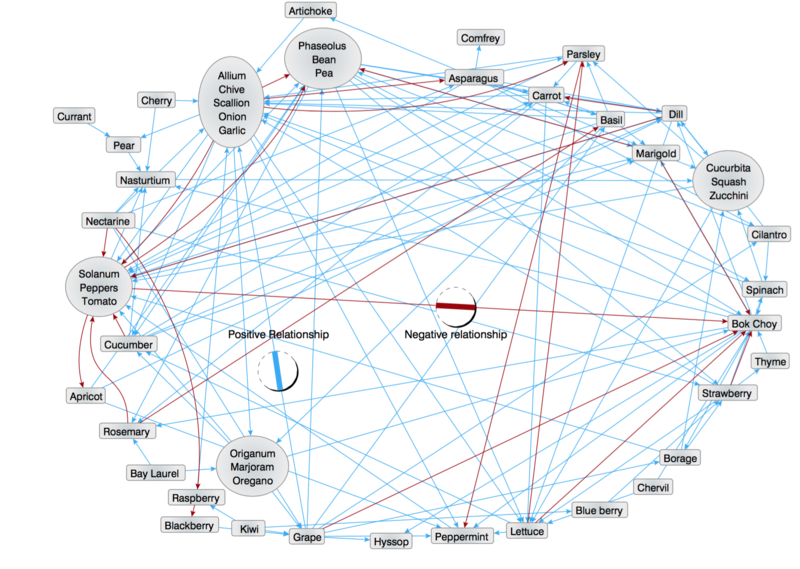 A diverse ecosystem is also vastly more resilient than single-crop production. These crop clusters are modular elements that allow many functional combinations. They can be mixed and matched depending on the desired output of the greenhouse and local market demand. Polydome systems aim to reach zero-waste operations. Plant waste is reused as mulch, compost, or fish feed, while animal wastes are processed into plant nutrient supplements. Mushroom cultivation, chickens, and composting provide supplemental CO2. 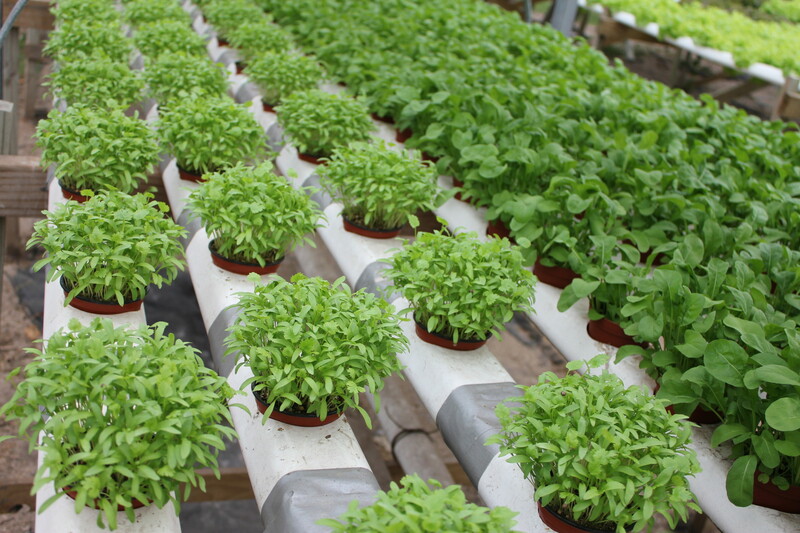 The hydroponic system cycles water efficiently and water treatment ensures sparse water use. 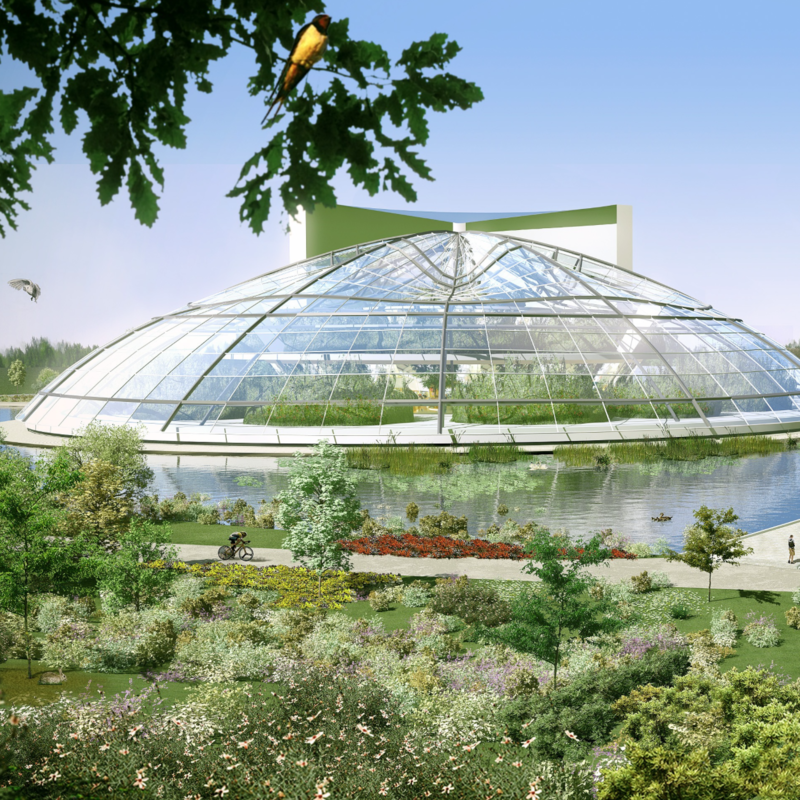 The Polydome uses passive design to cycle water and air. Other energy facilities can be used as heat providers. Polydome outsmarts conventional, material intense shading designs. 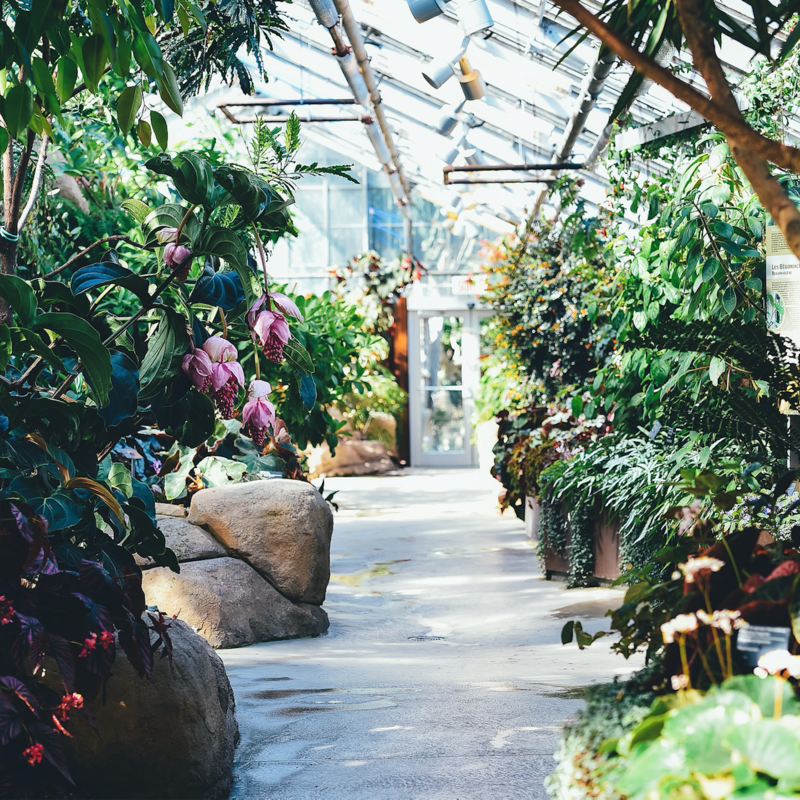 Instead, shade-loving plants are intercropped below plants with a high demand for direct sunlight, thereby enhancing both plants’ health and productivity. By combining different plant sizes, the roots of plants reach various depths in the soil. Excess irrigation water can be used at lower levels and deep-rooted trees do not depend on constant irrigation. Agricultural innovations are harmonically integrated in the Polydome system to reach maximum efficiency both in terms of energy and material input as well as harvest. 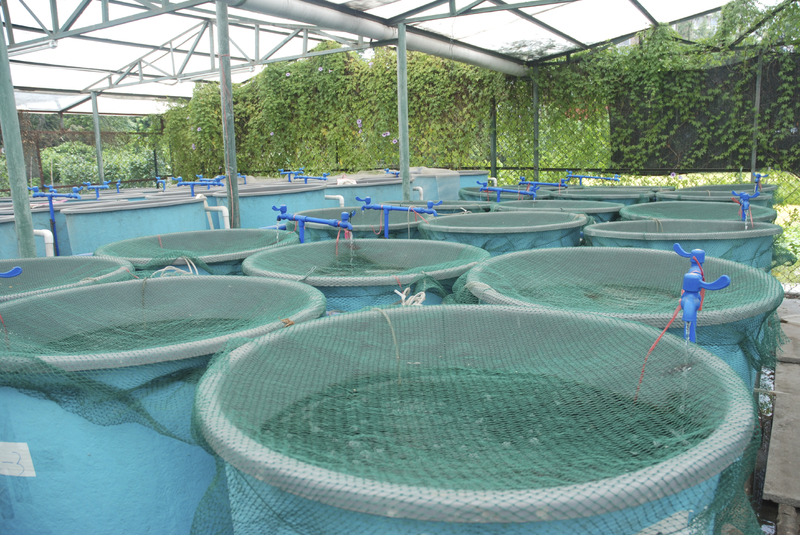 Aquaponics create a close-loop system between aquaculture and crops. 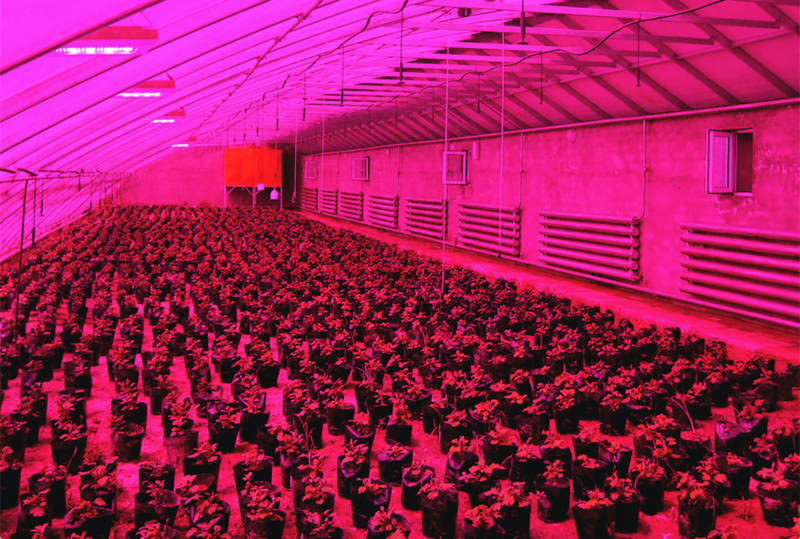 LED lighting has shown to increase plant productivity while minimizing electricity requirements. 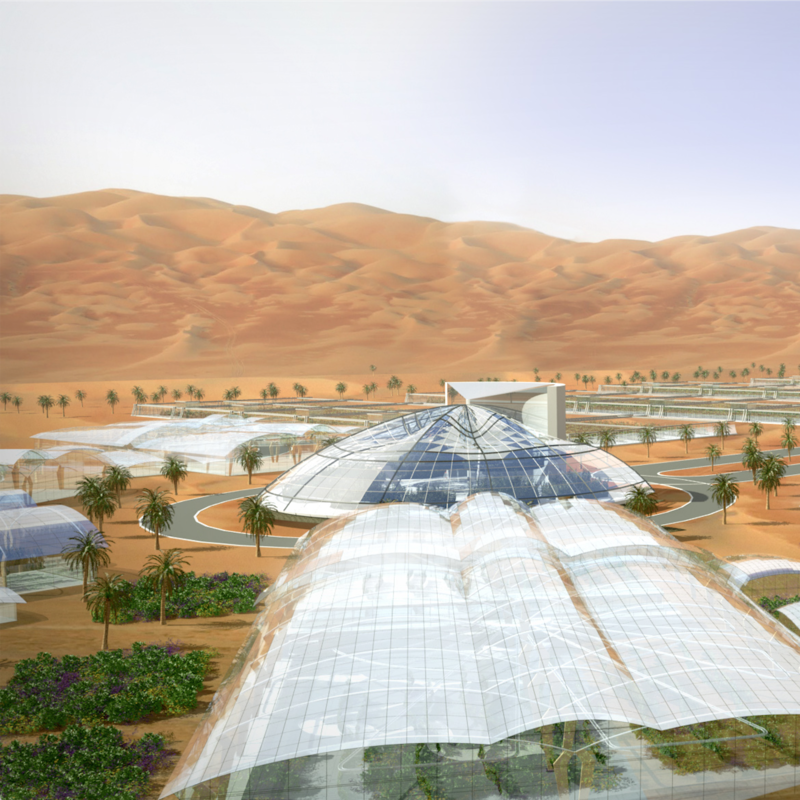 The Polydome is apt for other technology applications and can operate as a living lab for agricultural innovations. Polydome can be integrated with a variety of functions that serve the community. Polydome systems are designed for the location and context. They can be combined with an experience centre, educational programs, food processing facility, restaurants, retail, and even nursing homes. We have invested time and in-depth research in developing a sound Polydome system and a comprehensive databank of species. 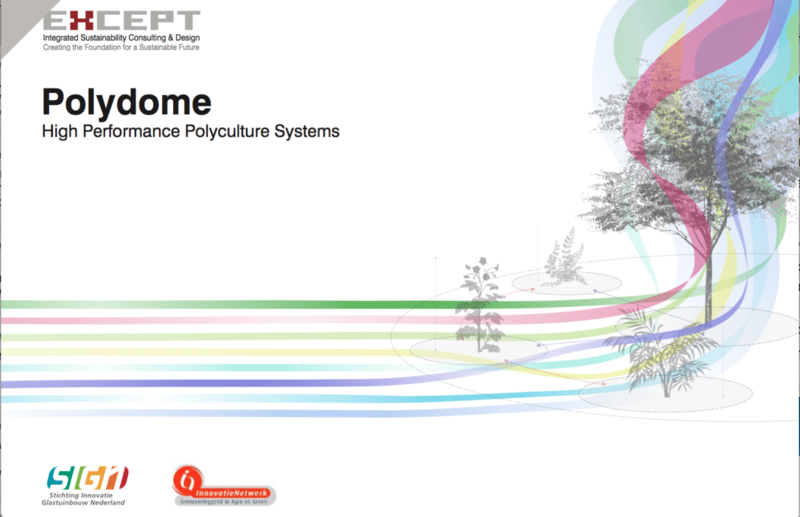 If you want to delve deeper into the Polydome concept, you might want to take a look at the Polydome book. You will also find more resources such as maps and concept plans at the Except project website. Polydome is the platform to enable various technologies in interaction. It takes current innovations in food production to the next level.